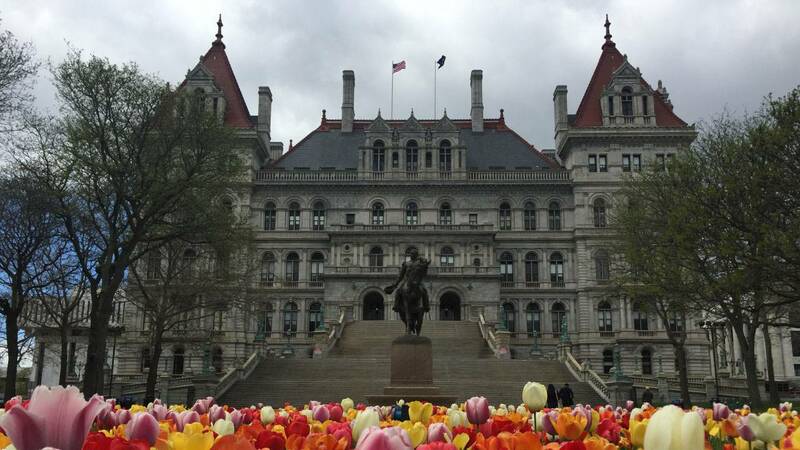 Talks on the state budget were stalled just days before the March 30th deadline, as Governor Andrew Cuomo and state lawmakers continue negotiations. Groups pressing for additional issues that are in the governor’s budget plan have still not given up hope. Advocates for a bail reform and criminal justice reform package stationed themselves outside the state Senate chambers in the final days of budget talks, saying they intend to stay until the Republicans who rule that chamber agree to accept the reforms proposed by Governor Cuomo in his State of the State message. The proposals include an end to cash bail for those accused of non-violent crimes and steps for speedier trials. Cuomo, in January, highlighted the death of Kalief Browder in his speech, as an example of why bail reform is needed. Browder’s impoverished family could not afford the $3000 that the judge set for bail. Browder committed suicide two years after he was released from prison. Kalief’s brother, Akeem Browder, was part of the protest outside the Senate. “For three years they put Kalief in Riker’s Island, a torture chamber,” said Browder, who said his family, though at home, suffered too. “For three years they put my mother and my family in Rikers Island as well.”. Assembly Democrats have already agreed to the bail reform measures. But Senate Majority Leader John Flanagan said late Tuesday that bail reform will likely not be in the state budget. “Bail reform, I think, will be dealt with outside of the budget,” Flanagan said. for past victims to bring a civil court action. Richard Tollner, who says he was abused by a priest as a teenager, says it’s time to approve the measure. “The time is up,” Tollner said. Around 5 o’clock, legislative leaders emerged from a private meeting with Governor Cuomo. Senate Independent Democratic Conference Leader Jeff Klein, says he’s bringing a “tentative deal” back to his members. Klein says portions of the budget that are now agreed to include fixes to the partial loss of state and local income tax deductions in the new federal tax laws. Assembly Speaker Carl Heastie was more tight-lipped. Heastie would not confirm that a tentative deal had been reached, and said he needs to go over the details with his Democratic Majority conference first. There’s no deal yet,” Heastie said. The leaders confirmed that they are talking about reviving a pay commission to explore salary increases for lawmakers. They have not received a pay hike in almost 20 years. A previous commission fell apart in late 2016 after the governor quarreled with the legislature.